You are seeing older version of desired Maruti A-Wind This model is no longer available in the showrooms. 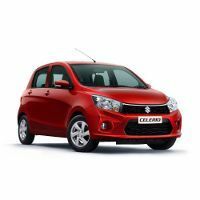 Check our latest listing of Maruti Celerio for up-to date on-road price,pictures, mileage and more. Suzuki A-Wind, the production version hatchback of Suzuki was recently unveiled at the 30th Thailand International Motor Expo 2013. The company has officially named the new A-Wind as the Celerio. The Celerio measures 3.6-metres length, 1.6-metres width, 1.5-metres height and the wheelbase of the hatchback measures 2.4-metres which is 65mm more than the A-Star?s wheelbase. It is powered by a 1.0-litre three-pot petrol engine mated to a five-speed manual gearbox and is expected to produce 68bhp and 90Nm of power and torque respectively. The hatchback ?will get a twin split chrome grille with integrated funky projector headlights along with LED turn-indicators at the front. On the inside, the front and rear seats have been extended, the interior has a bi-colour layout matching the exterior paint (Energy Yellow or Panoramic Blue) and has a modern looking dashboard that includes digital instruments and a touch screen in the center console. Suzuki plans to display the car at the 2014 Auto Expo to be held in February. The company will launch the hatchback by sometime in 2014 at an expected price tag of Rs.4 to 5 lakhs. Maruti A-Wind is available in 1 variants. View below listing of variants based on their fuel type. Upcoming variants of A-Wind are also listed here. * Prices of Maruti A-Wind car indicated here are ex-showroom price not the on road price of A-Wind. Price list is subject to change and for the latest Maruti A-Wind India prices, submit your details at the booking form available at the top, so that our sales team will get back to you. Maruti A-Wind mileage mentioned here is based on ARAI test drive and not from A-Wind review by vicky team. 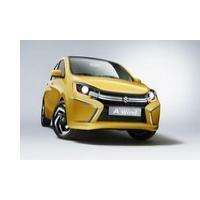 "The prime specs of Maruti A-Wind are listed here. The overall length, width of the car should give you an idea about parking space it require. The ground clearance (lowest part of the car to the ground) will give you the measure of water wading capability and confidence of A-Wind's capability to run over potholes and speed breakers. However GC (ground clearance) won't tell everything. Other important factors like approach angle, breakover angle and departure angle is required to assess the cars' ability to run in rained indian roads and light off road tracks.Engine specs of A-Wind are also listed here. With the power (in bhp) and torque (Nm) figures the most important ratios - power to weight ratio of A-Wind and torque to weight ratio. The displacement (in cc) is the measure of cubic capacity of the engine. Earlier there was a notion, larger engines produce more power and torque however with the invention of advanced technologies this is no longer true." When the A Wind is going to launched ? Please provide complete details of various models of the A Wind with price . I am waiting for A-WIND.